Without revealing the confluence of events which led Smith’s mother Marilyn to learn to live with and to accept her panic disorder, I can say that she chose, of all professions, to become a therapist. Was it a comfort for a boy with anxiety to have a mother who was a therapist? Eh, not so much. Smith probes deep into his childhood to find “the” event to get to the origin of his anxiety. Certainly there are, as he says, “clues,” but even knowing about these psychologically and environmentally impacting issues cannot prevent his anxiety. At 16, he loses his virginity in such a way as would traumatize any young person. He spends the rest of high school in utter distress, and Marilyn and his father decide that Smith needs medication and therapy. These are like a small gauze pad on a gunshot wound to the abdomen. Anxiety is like the monster in any horror film which keeps rising from the dead, no matter how many ways and times you kill it. Smith’s memoir continues through his college years, and his first job as a “fact-checker at a major American magazine.” These second and third “Episodes” of Smith’s book are equally fascinating and riveting because Daniel Smith, truly, is a brilliant writer. 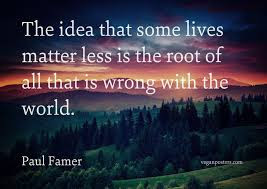 He cites Søren Kierkegaard, who wrote The Concept of Anxiety in 1844); Franz Kafka, who had a deep-seated fear of appearing physically and mentally repulsive, i.e. social anxiety); and Philip Roth, who, like Smith, uses his middle-class secular Jewish upbringing as a well for self-loathing and irreverent humor. 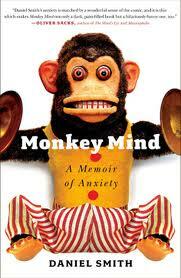 Anxiety is not usually a funny subject, but I guffawed and laughed and giggled all the way through Monkey Mind. Smith seamlessly intertwines serious and incredible critical analysis of his own anxiety disorder, and anxiety in general, with side-splitting humor. Smith has great intelligence, great heart, and, although I don’t wish to worry him, a great future ahead of him as a book writer.